Silver metallization pastes have become one of highest material cost parameters in c-Si solar cell fabrication due to the dependence on the core market price of silver (Ag). The need for both high-performance silver-based pastes for improved cell performance and cost-effective conducting materials is a critical requirement for PV manufacturers. Heraeus develops front-side and backside pastes that lower the silver content per cell. Heraeus addresses the need to reduce that cost by producing silver pastes that allow for up to 40% reduction in silver usage. Heraeus SOL205S, the current product for the back-side, is produced using 52% silver content. Heraeus' line of back-side pastes are especially formulated to provide high coverage for reduced usage on wafers. Heraeus continue to reduce the silver content of back-side pastes, while also maintaining excellent adhesion to the silicon cell. With Pb- and Cd-free material options, Heraeus' back-side pastes offer excellent solderability in both leaded and lead-free solders. All back-side pastes are co-fireable with back-side Al and front-side Ag pastes. Silver bullion prices have eased over the last nine months, as increased silver bullion production has resulted in an oversupply. Whether this is a permanent situation or not, Heraeus will continue in the direction of reducing the silver usage in cells. The low laydown of the SOL200 series helps customers save money while maintaining good cell performance. 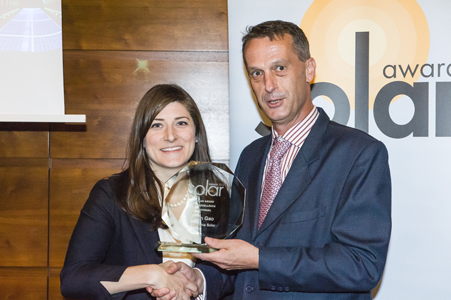 SoloPower has re-imagined solar. Their lightweight and flexible solar technology provides design versatility that makes integration with a variety of applications conceivable — offering a powerful and aesthetic solution to meet the challenges of growing market demand. In developing next-generation solar alternatives, a thinner profile is paramount. Here's why: the majority of solar cells in existence today are made from rigid multi- or single-crystalline silicon (Si) wafers. Typically 150 µm thick, the wafers demand multiple processing steps before they can be integrated into a module. On the contrary, thin-film solar cells utilize only a 1-4 µm-thick layer of semiconducting material to produce electricity, thus requiring less processing and fewer materials. These cost-saving alternatives also offer another important advantage as compared to wafer-based modules in that they can be used in a wide range of applications. Thin-film solar cells employ lightweight, flexible substrates, making them ideal for advanced applications such as building-integrated photovoltaics. What's more, because of the lightweight form factor, the costs of balance-of-system (BOS) components (such as mounting hardware, wiring, inverters and other electronic hardware) are comparatively lower than other PV devices. 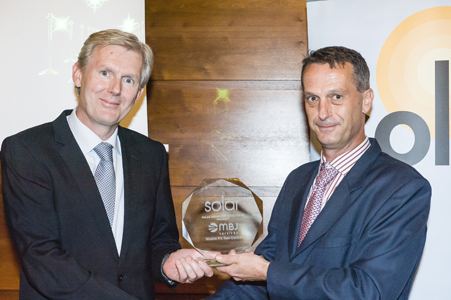 Dedicated to delivering the most competitive solar cell solutions, SoloPower targets the critical challenges of producing CIGS-based devices, which have the highest conversion efficiency among the family of thin-film PVs. Our proprietary approach embodies critical technology, manufacturing and cost advantages to enable large-scale, "fab-style" production. 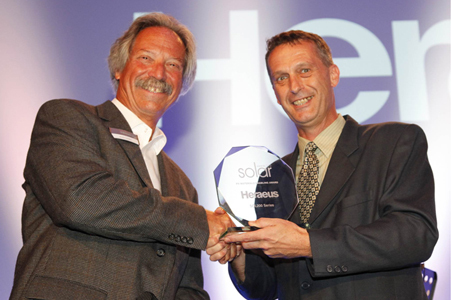 SoloPower is advancing the work of "thin-film" photovoltaic pioneers, thereby enabling increased affordability and widespread product integration, integrating lightweight thin-film photovoltaic devices into buildings that have never before been able to utilize solar energy due to the considerable weight of traditional glass panels. Integrating solar modules into less predictable applications are becoming increasingly possible. Aegis® Wafer is designed to meet the strong desire of a cost-effective solution at the solar cell industry simultaneously driving high performance and low cost (e.g. loss. In particular ultra-high fracture strength for low loss without hampering the conversion efficiency has topped the desired technology list of the PV community. SAS invented nano-texturing technology to extensively enhance the fracture strength on the fourth generation of SAS high efficiency A-series wafers. High PV conversion efficiency is achieved by ultra-low bulk defect density while ultra-high fracture strength is enabled using nano-texturing shielding surface defects from crack propagation. The Aegis® Wafer perfectly arranges both surface and bulk effects of silicon for the best interest of customers. The SAS Aegis® Wafer is designed for highly strengthening multi-crystalline silicon substrates combined with impressive efficiency improvement. The Aegis® Wafer technology platform is combined with SAS A-series silicon growth technology of high cell conversion efficiency and nano-texturing technology. By nano-texturing technology the Aegis® Wafer is enhanced dramatically by over 200 % than conventional multi-crystalline wafer. Accordingly the greatest reduction of in-line fracture loss by over 75 % is undoubtedly instrumental in manufacture loss and provides customer user-friendly thinner wafer solution. Furthermore the Aegis® Wafer possesses cost-effective high throughput and its feasibility of batch production to achieve lower manufacturing cost with more than 80 % and energy consumption reduction with more than 50 %. The SAS Aegis® Wafer has excellent efficiency performance on a global scale to advance two-steps ahead on the dramatic high efficiency photovoltaic market by SAS A-series silicon growth technology. The Aegis® Wafer achieves over 18 % median PV conversion efficiency by more than 1 % enhancement and raises product value premium by more than 20 %. The Aegis® Wafer meets customer’s requirements by the greatest gains in efficiency of solar power and cost-effective solution making it more competitive with other means of electricity generation. In Germany there are over 600 grid companies and each grid company uses a different technology to control the pv-plant. Solar-Log has to offer a universal method to fulfil nearly all requirements. Another important thing is that at some location the grid is on the limit and no additional PV plants can be connected. 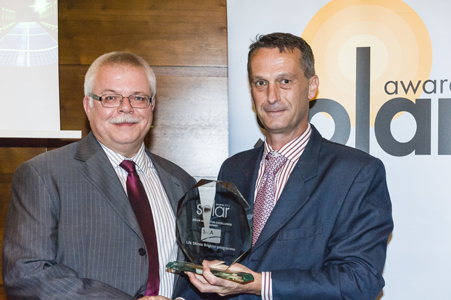 Solar-Log is able to limit the power that is fed in with consideration of self consumption. So the plant owner can build a larger plant than allowed and still feed in the maximum allowed power. Solar-Log has implemented different interfaces to get the commands of the grid company and can control the inverters of which protocols for power management has been implemented. By measuring the voltage e.g. on the 20.000 V side solar-log can control the reactive power based on characteristic curve of the grid company. 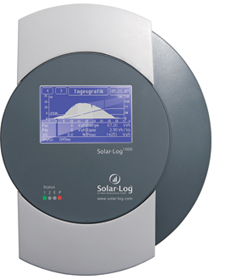 Finally for self consumption solar-log is measuring the power consumption and reduces this from the produce power, based on the difference, Solar-Log is permanently in control of the power of the inverter. A standard monitoring device has changed to a complete control unit. We are the only company that can fulfil even the most complicated requirements of grid companies. No other monitoring company is able to considering self consumption. Solar-Log has added some standard interfaces to be able to receive the commands of a ripple control receiver or a more complicated receiver.. By this the grid company can give commands to the pv plants via the Solar-Log to reduce the power. Some grid companies also require a feedback of the actual power. This can be also realized with Solar-Log. By using provided characteristic curves for reactive power based on voltage in the grid Solar-Log can also control reactive power. Finally Solar-Log can measure the self consumption and limit the power that is fed in at the grid side. The new thing is that a PV monitoring device has changed to a complete control device including feedback control system and control based on self consumption. Today’s major challenge in PV is to reach grid parity. In order to achieve that goal efforts are made on the cell/module efficiency on one hand and on the TCO (total cost of ownership on the other hand. New-generation PV materials exhibiting higher efficiencies jointly reveals highly capacitive effect that disturbs their performance measurement by conventional method. Such solar cells/modules require new solution for accurately determining their electrical performance in production environments. The DragonBack™ method introduced by Pasan is the solution for efficiently determining the performance of highly efficient modules with economical and high quality pulsed light source. The DragonBack™ measurement method is the solution for the final power measurement of production of highly-efficient modules. It is used in conjunction with standard Pasan HighLIGHT pulsed solar simulator enabling accurate measurement within one flash at high tact-time while keeping low TCO. Technically the DragonBack™ measurement method is a dynamic sweeping methodology. Instead of applying a continuously increasing voltage ramp the DragonBack™ works by steps during which the module response is stabilized thanks to an adapted overshoot. It consequently diminishes the stabilization time and accurate values forming the current-voltage curve can be measured during a short illumination period (10 ms. The DragonBack™ measurement method gives an answer to modules producer looking for reliable accurate and cost-effective solution for the measurement of advanced PV technologies. 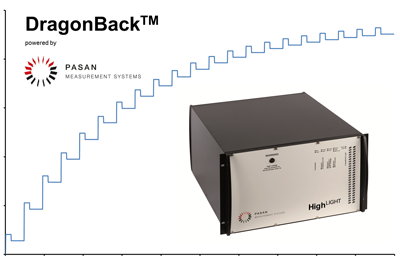 The noteworthy aspect of the DragonBack™ method is the combination of a highly accurate and highly repeatable measurement process for HiCap modules with industry requirements including tact-time low TCO and easiness of use. Up to now the various proposed approaches for testing such material never includes and solved both aspects of measurement accuracy and cost of the solution. From a technical point of view such dynamic sweeping method was never applied to solar cells or modules before Pasan developped it together with the Swiss university and PV reference laboratory SUPSI within a research project funded by Swiss Confederation. It is the only approach which solves the dynamic problem induced by the new high performance technologies through an adapted measurement process. The Levitrack ™ ALD system is based on the novel concept of precursor separation in space, instead of by time, in combination with the unique floating wafer and conductive heating technology used in the Levitor RTP products. Recently scientific studies by institutes and Si-based cell makers demonstrated that Aluminum Oxide ALD films have excellent passivation potential for both P-type and N-type solar cells partially because of the negative charges that are present in these films. However the cyclical nature of traditional ALD systems have relatively low growth rates and high gas usage which makes it difficult to achieve the throughput numbers and cost-of-ownership requirements required by solar cell manufacturing environments. Conventional technologies use time to separate the reactive gasses (a.k.a. precursors in the chamber the Levitrack™ uses separation in space. In the Levitrack™ the solar wafers will travel at high speed through repeating series of gas zones -ALD cells. These cells are designed such that in the no reaction of precursors takes place inside the system other than on the wafer surface. Other contributing factors are operation under atmospheric conditions (no vacuum chambers load locks or pumps easy automation (no carriers the lack of moving parts (except wafers and the ability to operate without deposition on the walls eliminating the need for periodic cleaning. With this unique “space separation” ALD technology the Levitrack™ closes the gap between the low deposition rates of traditional “time separation” ALD processes and the demands for high throughput and low cost-of-ownership in solar cell manufacturing. The Levitrack™ can deposit films efficiently and effectively. This is crucial for integration of Aluminium Oxide films in solar cell designs and enabling cells with higher efficiency to become available for the mass and to clear the way to and beyond grid parity. The solar inverter market is split into three primary categories each defined by size: Central inverters which connect hundreds of solar modules string inverters connecting 10-14 modules and micro-inverters which are connected to 1-2 modules. Central and string inverters are generally the cheapest option in terms of upfront cost but are also the most common point of failure in a solar system leading to costly replacements over the lifespan of a solar installation. Micro-inverters are typically viewed as the most reliable of the three options and provide other system benefits like improved energy harvest ease of installation and module-level monitoring. This makes the technology attractive for commercial-scale installations but the high cost associated with micro-inverters makes the products impractical beyond the residential system level. Sequenced Inverters offer the benefits of other module-level inverters including Maximum Power Point Tracking (MPPT anti-islanding protection and smart system monitoring through a communications gateway. However whereas competing technologies allocate the DC-AC conversion process to a single unit ArrayPower designed the Sequenced Inverter to distribute conversion across a system. Each Sequenced Inverter converts DC power from the associated PV module to an output of high frequency pulses phase synchronized to the utility grid voltage. Each Sequenced Inverter operates at a deliberate phase offset relative to its neighbouring inverters and contributes a series of grid synchronized current pulses to the branch circuit summing together and delivering high quality three-phase 208VLL power. This architecture results in reduction of required energy storage and eliminates complex low frequency grid-tracking output filters enabling the elimination of short lifetime components found in traditional inverter designs. The design of the Sequenced Inverter is such that it does away with liquid capacitors seen in other technologies enhancing reliability and ensuring the inverters will perform as long as the rest of the solar system. Additionally the Sequenced Inverter is compatible with grids that operate at either 50 Hz or 60 Hz which gives the technology a distinct advantage over other solar inverter products when entering non-North American or dual-grid markets such as Japan where grids operate at both 50 Hz and 60 Hz. With the Sequenced Inverter ArrayPower for the first time offers a module-level inverter technology that encompasses all the system benefits of micro-inverters but is priced at the level of string inverters. The Sequenced Inverter is also the first module-level inverter to create three-phase output. Whereas residential and utility-scale solar systems utilize single-phase power three-phase power is required for commercial-scale solar installations. To implement a single-phase product on a commercial-scale system would require additional equipment and consequently additional cost to the end-user. Sequenced Inverters are designed for integration into a solar module during the module manufacturing process. While micro-inverters can be affixed to the frame of a module ArrayPower works closely with module manufacturers to optimize the two technologies and allow for product combination in the form of a grid-ready AC module. This integration eliminates the need for previously standard components including the junction box facilitating cost reduction during the production process. ArrayPower also teamed with Phoenix Contact to design a simple cable harness and three-pronged plug to connect each module resulting in a “plug and play” AC module. Not only does this method of connection increase worker safety by eliminating exposed wiring it also reduces the amount of time and capital required for system installation. Units can be easily replaced if needed equalling cost savings during any maintenance routines over the lifetime of a solar electric system. The SolarBridge Pantheon microinverter addresses a critical problem in distributed PV: the cost of solar adoption is still too high. A key targeted area for potential efficiency gains is the central inverter typically the weakest link in terms of system reliability. SolarBridge Technologies has developed a microinverter and PV management system that is changing the economics of solar. The SolarBridge PantheonTM microinverter is factory-installed and mounted directly on the solar panel to create a “roof-ready” AC module. Power conversion takes place directly on each module rather than through the central or string inverter. Designed for reliability SolarBridge microinverters are backed by the industry’s first 25-year warranty enabling module manufacturers to offer the maximum end-to-end warranty on their modules. This directly reduces operating costs and system downtime by eliminating the need to replace inverters. SolarBridge Technologies has changed the game for solar module manufacturers and installers with its innovative revenue-enhancing solution that makes solar more cost-efficient more reliable and easier to install than ever before. The SolarBridge AC Module System enables virtually any homeowner or business to go solar. Manz's own innovation line in Schwäbisch Hall is the incubator of the Manz CIGSfab, a fully integrated production line for manufacturing CIGS thin-film solar panels. Manz acquired the location in Schwäbisch Hall from Würth Solar at the beginning of 2012. As a result, the high-tech engineering firm has the ability to test and implement new materials and production processes under mass production conditions. Manz offers the only turn-key production line for CIGS thin-film solar panels currently available under the name CIGSfab. In doing so, the company draws on its wide-ranging expertise in six different fields of technology: automation, laser processes, vacuum coating, metrology, and wet chemical processes. In this process, Manz uses synergies that result from making advancements to these technologies in its three strategic areas of business: Solar, Display, and Battery. In September 2012 the German high-tech engineering firm has achieved a technological breakthrough: the Manz CIGSfab can be used to manufacture solar panels that, in the future, will supply power costing between 4 euro cents (Spain) and 8 euro cents (Germany) per kilowatt hour, depending on the location. This means the cost of solar power is now at similar level as electricity from fossil power plants and is significantly less expensive than electricity from offshore wind parks. 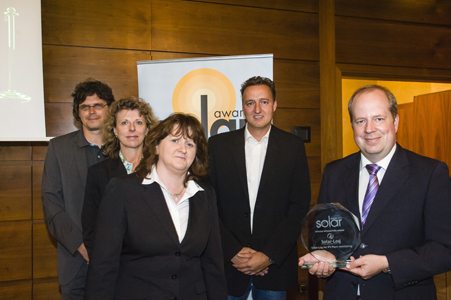 According to Dieter Manz, founder and CEO of Manz AG, "our technology has the potential to revolutionize the solar industry." Manz's CIGS solar panel was manufactured on a mass production line, the CIGSinnoline, and with a total panel efficiency of 14.6% and an aperture efficiency of 15.9%, sets a world record for thin-film solar panels. This panel impressively surpassed both the world record for total panel efficiency held by the former cost leader for thin-film panels, First Solar, as well as the record for aperture efficiency held by MiaSolé. In addition, when it comes to efficiency, thin-film solar panels have now pulled even with polycrystalline solar panels. Upsolar’s lifecycle assessment meticulously examines the environmental impact of the company’s mono- and polycrystalline modules over their entire lifetime. The company dedicated 10 months to data collection working alongside respected evaluation body Bureau Veritas CODDE to verify its methods and results. The analysis began with the raw materials used to create Upsolar’s modules to ensure the company is working with environmentally conscious component providers. 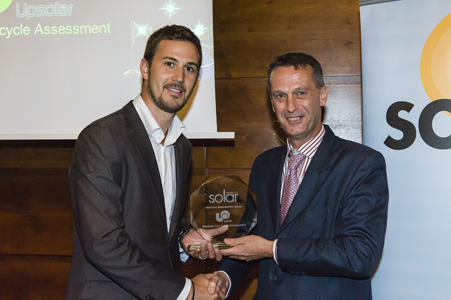 Next Upsolar thoroughly assessed the practices of its primary manufacturing platforms monitoring gas emissions toxicity and waste levels throughout the production and packaging processes. The study then moves to installation and in-field operation analyses before taking a close look at end-of-life procedures on Upsolar modules. As a member of the PV Cycle, Upsolar is fully committed to enacting the most sustainable disposal and recycling processes for its products. The resulting data from the LCA process will serve as a baseline and allow Upsolar to determine where it can improve its energy use material consumption and recyclability on an annual basis. The solar industry creates products that enable consumers to reduce their carbon footprints through renewable energy generation. However to cultivate a truly “green” industry clean technology providers must examine ways to optimize their processes and minimize environmental impact. Upsolar is one of the first China-based module producers to perform an in-depth analysis of its environmental impact. This is especially significant as China currently manufactures more than 80 percent of the world’s silicon-based PV products leaving the region to face the consequences of any environmentally harmful procedures. 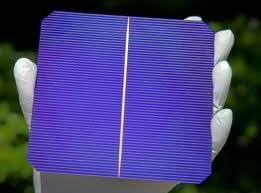 Many multi-junction solar cell technologies are lattice mismatched and therefore have defects within the cell. Additional material is used to try and buffer the defects which results in stunted efficiency gains and reliability issues. Solar Junction's technology is lattice matched resulting in higher performance yield reliability and lower cost. Solar Junction has successfully produced III-V multi-junction solar cells using dilute nitrides reaching high-efficiencies. The material substrates used by the company allows for a tunable and lattice-matched structure that has not been obtained by others. Solar Junction's cells incorporate the company's proprietary adjustable spectrum lattice-matched A-SLAM™ technology which enables the company to more optimally partition the solar spectrum. This enables bandgap tunability over the solar spectrum to maximize the absorbed sunlight within the CPV modules while enabling lattice-matched pathway to solar cell efficiencies beyond 50% within the decade. This technology leads to maximum efficiency and greater reliability. It is a sustainable technology that leads to a roadmap of continual efficiency gains and innovation without changing the fundamental structure of the cell which is not true for other multi-junction solar cell providers. Solar Junction breaks with multi-junction innovations by continuing on a lattice-matched path leading to higher efficiencies and higher reliability. The cell structure maintains pure while other companies are using innovations that use different processes that do not maintain a lattice-matched structure. Solar Junction standard cell achieved 40.9% efficiency in January 2011 which was tested and verified by the National Energy Laboratory (NREL. The cells submitted where standard design production cells and manufactured entirely in-house on its production line in San Jose. CA. February 2011 Solar Junction reached a 41.4% efficiency on a production cell again validated by NREL. The cell submitted for testing was also a standard commercial-ready production cell. It is significant because it was not a champion cell gain but a product that could be introduced straight into a customer's line. 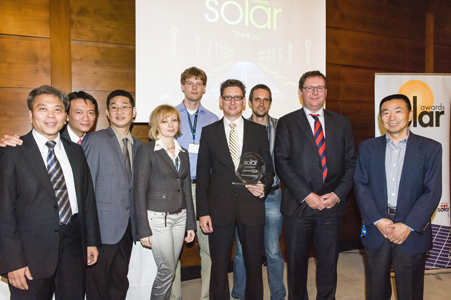 In April 2011 Solar Junction broke the World Record in cell efficiency. 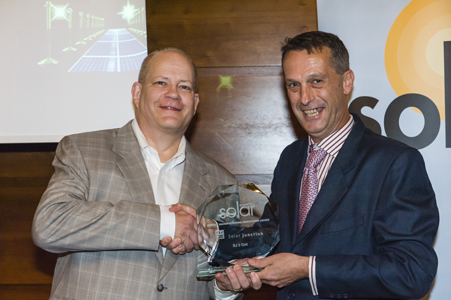 At 43.5% efficiency Solar Junction has retained the world record for the past year and continues to strive to make additional technology improvements to reach higher efficiency percentages. The cell tested by NREL was once again a standard 5.5mm x 5.5mm production cell. 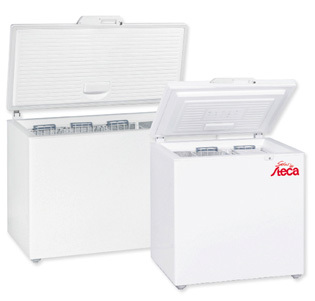 The Steca PF 166 and Steca PF 240 are efficient DC energy-saving refrigerators. They can be used as either a refrigerator or a freezer. The Steca PF 166 and Steca PF 240 are fully programmable. The inside temperature and each of the other configuration values can be set by the user. They are therefore perfectly suited for all DC applications including even the refrigeration of medicines in hospitals. Thanks to the latest A+++ energy efficiency class, together with optimal electronic control and an RPM control of the compressor, it is possible to ensure that the energy is used extremely efficiently. This leads to significant cost reductions. 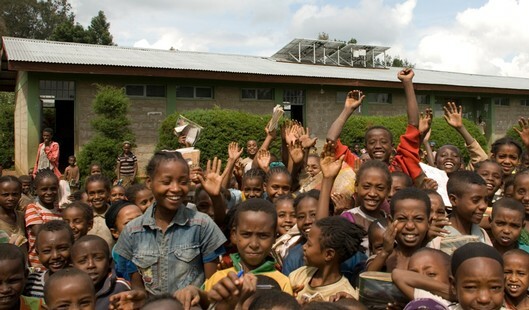 Plan International works in the field of Rural Electrification in Ethiopia and has a holistic approach including the development of local infrastructure, the set-up of educational institutions such as schools and training centres and health stations, as well as capacity building. As part of their activities they provide solar off-grid power supply to public institutions. Phaesun in cooperation with the local partner Lydetco PLC provided the equipment and installed the systems. 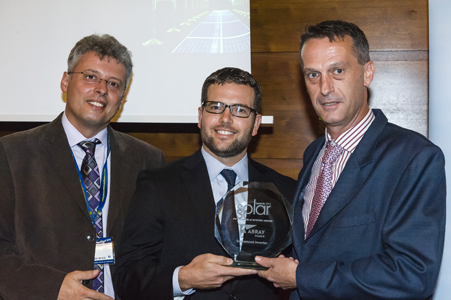 Photovoltaic technology was selected as the only viable energy source for several reasons. The national electricity grid does not reach many rural areas. The use of diesel generators is not encouraged owing to the scarcity of fuel, noise factor, environmental problems and high price of transport of the fuel to far flung remote sites. Additionally the operation and maintenance cost of generator sets is problematic. The challenge to successfully implement these systems was mainly the remoteness of the sites. Transportation of the equipment and installation crews was a challenge but was safely and efficiently carried out by local partner Lydetco PLC. 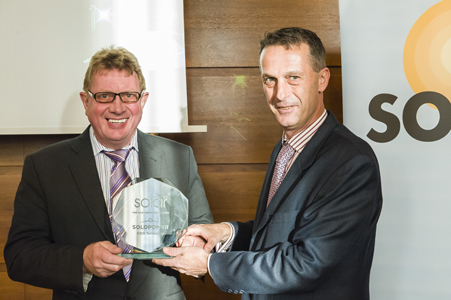 SMA Solar, global leader in photovoltaic inverters have launched their first end-user marketing campaign in the UK. 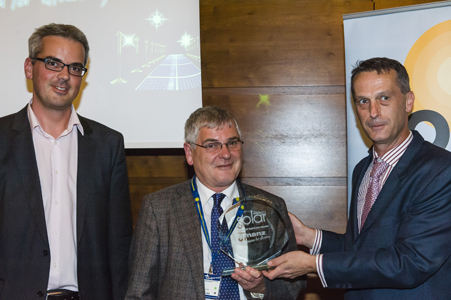 The photovoltaic market has changed dramatically in the UK over the past five years and with the ever changing ‘feed-in tariffs’ so has end-user perceptions. SMA have developed a series of cross-media initiatives with the overall aim to raise public awareness of the importance of photovoltaic technology and the role of the inverter plus dispel the myths surrounding renewable solar energy and the feed-in tariff. SMA identified that when it comes to solar energy most householders focus their attention on choosing the panels however it is the quality and efficiency of the inverter that determines how much energy is produced. So whether householders are looking to mitigate the impact of climate change or reduce the cost of their energy bills choosing the right inverter is crucial if they want a high performing system. That is why SMA Solar UK created Life Shines Brighter – a simple concept built on the premise that with more electricity to use and sell householders can enjoy the things in life that really matter. What, exactly, is novel about the campaign? Firstly a unique integrated campaign that educates the householder into the benefits of PV as a lifestyle choice and sound investment in todays sceptical and uncertain market. When we researched the available communications to end users there was no component manufacturer communication directly to end users purely just to distributors and wholesalers. Therefore the main messages were cost points and technical jargon which completely switched off the end user homeowner. We recognised a need to educate the benefits of a PV lifestyle and worked with a specialist agency to develop a campaign targeted to educating and providing tools that allowed homeowners to discuss a PV system with an installer and help make the best educated choice. The tone of voice is removed from technical language allowing the end user to discover the benefits and what to look for in choosing the best performing system regardless of cost or price. We believe this is unique in the inverter category and in the UK as a manufacturer of system components. SMA UK has also made the unique step of entering B2C marketing and advertising rather than the traditional B2B standard approach that exists in the UK market today. We have backed this up by providing sales tools to the smaller installer so they can use the communications and tools to aid their selling approach to end users. Silevo, Inc., a solar cell innovator and photovoltaic solar module manufacturer, was founded by leading executives and engineers from the semiconductor industry. The Silevo proprietary Triex™ technology evolves silicon-based PV as the first hybrid solar solution to combine high-performance crystalline silicon N-type substrates, thin-film passivation layers, and a unique tunnelling oxide layer – all in a single solar module. Powered by breakthrough "tunnelling junction" architecture, these three materials together enable the Triex module to deliver high efficiency, competitive module costs, and optimal energy harvest. Triex's "silver free" technology also eliminates the use of costly silver pastes that traditional c-Si device manufacturers rely on for electrodes – typically the second highest priced material in a module after silicon itself. By utilizing a low resistivity copper-based metallization scheme instead, Silevo is immune to silver's increasing cost issue in the marketplace, while capturing the performance advantages of copper. 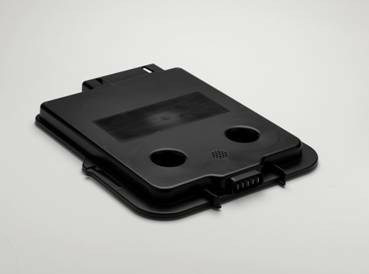 Silevo is currently producing modules in pilot production, manufacturing Triex cells that demonstrate between 20 – 21 percent conversion efficiency on full-size substrates with proven production materials. The Triex technology roadmap shows headroom for up to 24 percent conversion efficiency in commercial products. As well, Triex yields cell temperature coefficients of -0.22%/C, which will enable thin film module like energy harvest in real world service environments. Born on January 15, 1965, Changzhou, Jiangsu Province, Mr. Jifan Gao graduated from Jilin University with a MS degree in physical chemistry in 1988. He earned his BS in chemistry from Nanjing University in 1985. Mr. Gao established Trina Solar in December 1997. 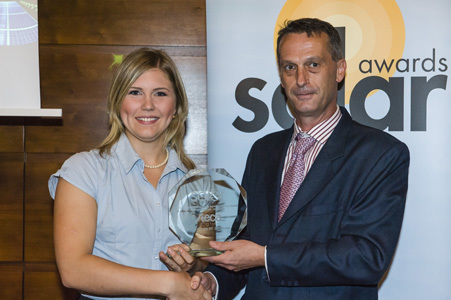 Under his leadership Trina Solar has developed to a world leading solar company over the past 15 years. 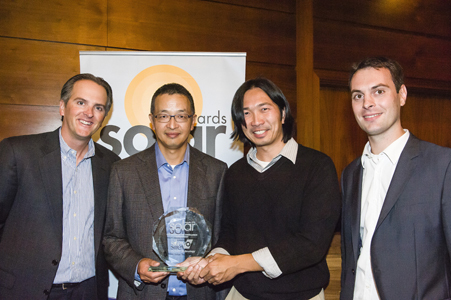 In 2006, Jifan Gao led Trina Solar to a successful IPO at the New York Stock Exchange. In 2011, Trina Solar's revenue reached 2.05 billion US Dollars and the company ranked #187 among the top 500 Chinese private enterprises. 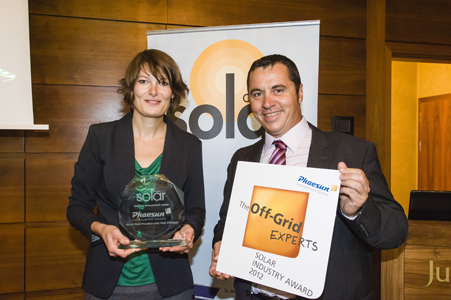 Trina Solar ranked first worldwide according to the latest 2011 global PV industry sustainable growth index released by PRTM. 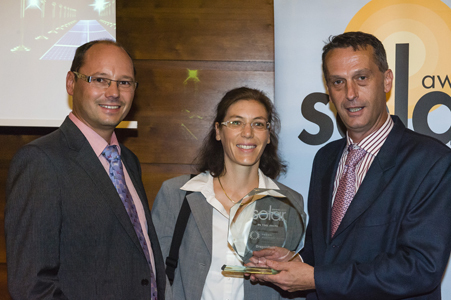 In the global Solar Scorecard 2012 ranking, published by the Silicon Valley Toxics Coalition, Trina Solar was ranked No.1 among all global PV manufacturers. With Trina Solar's leading global position, Jifan Gao has been contributing to the world renewable energy industry through international industry forums and associations. 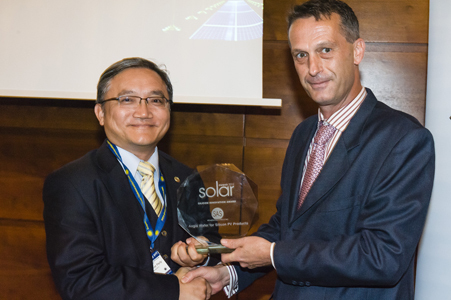 He was elected Global Director of SEMI (Semiconductor Equipment and Materials International) and President of the Asian Photovoltaic Industry Association. From 2010, Trina Solar was selected as Global Solar Industry Shaper by the World Economic Forum, and in 2012 Jifan Gao was invited to be one of the mentors of the WEF annual meeting. In 2012, Mr. Gao participated in the Rio+20, together with 26 leading companies and NGOs which formed the "Friends of Rio+20" and provided suggestions to nation leaders, presented at the UN Conference on Sustainable Development. On behalf of the PV industry, Mr. Gao put forward his suggestions to Premier Wen Jiabao and other state leaders on developing a healthy and sustainable Chinese photovoltaic industry. His suggestions have received broad attention from Chinese and global leaders and his speeches have been quoted and reported by Xinhua Newswire, CCTV, Reuters, Bloomberg, Dow Jones and Financial Times, etc. Jifan Gao and Trina Solar attach great importance to corporate social responsibility. Trina Solar has donated and constructed numerous solar power plants in Tibet, China and developing regions of the world. Mr. Gao and Trina Solar also took part in the society welfare programs initiated by former US president Bill Clinton, donating solar modules to Haiti, Africa and other areas without electricity.